There were 580 press releases posted in the last 24 hours and 153,536 in the last 365 days. APOPKA, FLA, USA, August 9, 2018 /EINPresswire.com/ -- Spike’s Tactical, a Florida-based gun and weapons manufacturer, will begin selling their highly anticipated Spartan AR-15 rifle lower receiver on Friday. The Spartan lower receiver, which was leaked and later confirmed and announced by Spike’s Tactical in early 2017, is the first-of-its-kind to be designed and submitted to the U.S. Patent and Trademark Office (USPTO). The lower receiver took more than a year to design and develop, features a Spartan helmet as the AR-15’s magazine well and is compatible with all standard AR-15 lower receiver parts. 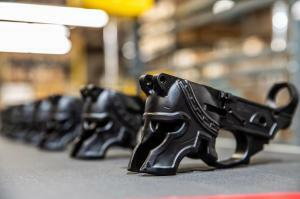 The Apopka-based weapons manufacturer teamed up with Rare Breed Firearms to give gun enthusiasts more options when it comes to personalizing their AR-15s and believes consumers will enjoy the unique look of a weathered Spartan helmet in either black anodized or a custom Cerakote paint job. 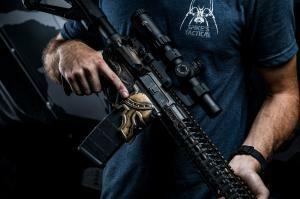 The Spartan was designed by Rare Breed Firearms, an Austin, Texas firearm-design company specializing in creating distinctive lower receivers for AR-15s. Rare Breed has made Spike’s Tactical its sole manufacturer and distributor of their cutting-edge products. The Spartan lower receiver is priced starting at $349.95 and is available for purchase online. To learn more about Spike’s Tactical and their products, visit www.spikestactical.com.